There are several instances where the author leads you into an open field and lets your imagination run wild before hitting you with a surprise. 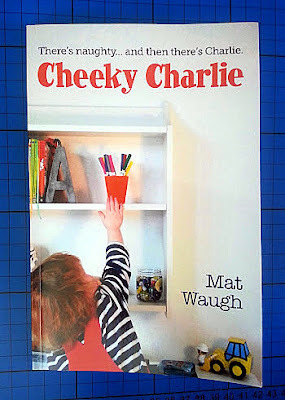 Cheeky Charlie is cleverly written, witty and funny and has had both of my boys wide-eyed and laughing out loud regularly. The style of the book is quite colloquial and chatty, and it has a lovely conversational flow which makes it a delight to either read, or listen to. 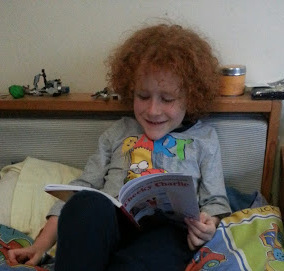 My 6 year old is a competent reader, and he had no problem reading aloud to myself and his younger brother - despite this being his first photo and illustration free book! Cheeky Charlie is aimed at children aged around 6+, to be read together or independently, and I feel that's right. It is a little bit more grown up, and would not suit most pre-schoolers. 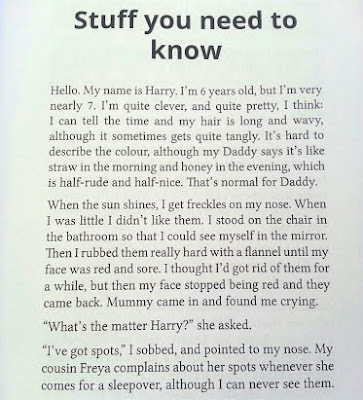 As well as a lack of images and more tricky storyline, Cheeky Charlie references school, and things that children aged 5+ are familiar with, and stretches a child's vocabulary and understanding. I have mentioned this many times as being a quality I admire in any book, so I think it's great. The layout is clean and crisp, and the text is not too small to be daunting, with the 102 page story broken up into 8 easily manageable chapters which each have their own adventure (or incident!). Cheeky Charlie is Mat Waugh's first fiction book for children, and I hope he writes some more. It's currently available for the bargain price of £1.99 on Kindle or £5.49 in paperback (prime eligible). Well worth the money. Mat Waugh also (every now and then) blogs at Dadhacks. We were sent it to review - and I'm very glad I said yes. interesting to know that this book dont have picture. it is good that your kids love this book! Loved it - as did my 6 year old son. A definite "one to read".